If you’re out walking in the stunning countryside of North Wales and encounter someone emerging from a bush with a fistful of berries and an excited glint in their eye, don’t be alarmed because the chances are they are foraging for ingredients to make you the perfect summer drink. Or more specifically, says Dave Rothnie, gin. If your image of gin is drawn from Hogarthian portraits of poverty and questionable parenting skills, think again. In recent years, local distillers have used their creativity and imagination create the sort of image makeover that would make Gok Wan blush. “Gin has been something of an unloved spirit and craft distillers are showing to the world what it has to offer,” said Chris Marshall, founder of Snowdonia Distillery. Along with craft beers and locally produced wines, gin is the latest beneficiary of changing consumer tastes that favour unique locally sourced products over mass-produced goods. More than 50 new distilleries opened in the UK last year, showing the “explosive creativity” of craft spirits, as artisan drinks brands continue to take market share from the global giants, said accountancy group UHY Hacker Young. And thanks to small group of passionate local alchemists, North Wales is leading the charge. Snowdonia Distillery in the Conwy Valley, Dyfi Distillery in Corris, Gwynedd, and North Star, also in the Conwy Valley have all launched special gins inspired by the local area. Botanicals are the secret behind gin making. In order to be classed as gin, the predominant botanical must be juniper, but from the rest is down to the taste and imagination of the gin-maker. Rowland picks gorse in March which he stores in the freezer, while he has also produced special editions of Merywen, using cherry blossom from his garden. Meanwhile, Chris Marshall, from Colwyn Heights, wanted to establish a business that spoke to his roots, and gin seemed the logical route to take. “The beauty of gin is that because we’re hand-foraging botanicals from round our distillery – it really is the taste and story of what grows round us,” said Marshall who started the Snowdonia Distillery in the autumn of 2015 with its first spirit, Forager’s Gin. Snowdonia produces two brands – Yellow Label Gin and Black Label Gin, which is made from juniper and sea blackthorn. The contours of Snowdonia are etched onto the side of the bottles – a fitting design because it has literally put North Wales gin on the map. Yellow Label scooped silver medal at the World gin awards earlier this year, an accolade that will boost the distillery’s plan to export its gin to Europe, Japan and America. Having found the botanicals, they are then distilled in the traditional London Dry Gin process, which involves putting all of the botanicals into the pot as its been distilled. That differs from other ways of manufacturing gin. Bombay Sapphire for example is made by fusing ingredients, and Hendricks uses a combination of methods. Getting the flavour right is a pain-staking job, but someone has to do it, and Marshall uses dedicated tasters and sensory analysts. Its Yellow Gin went through 57 formulations before it hit upon the right one. North Wales is also attracting gin-makers from further afield. Bombay Sapphire sources its water from Lake Vyrnwy while, later this year, Liverpool’s Halewood’s Wine and Spirits, which makes Liverpool Gin, is looking to open a craft spirit venture in the region, drawn to the botanicals on offer. 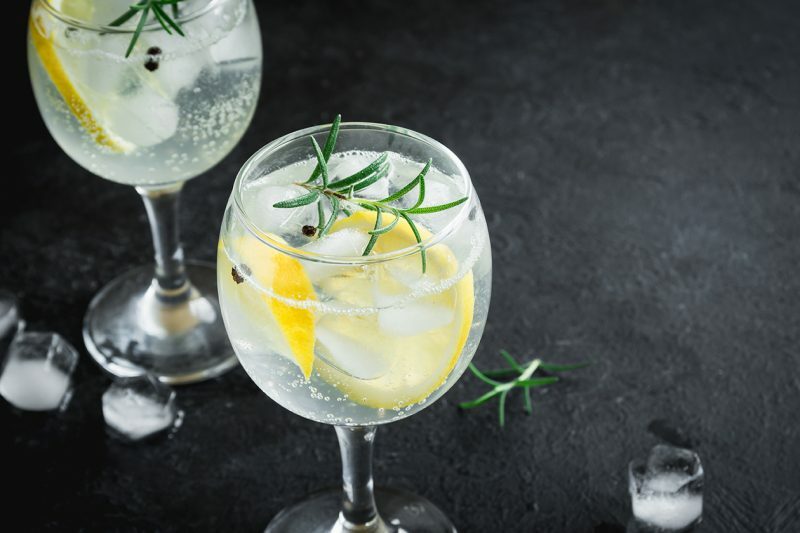 The expansion in gin production and consumption has been boosted by a chance in the law which paved the way for small-scale distillers, while some use gin as a way of generating cash as they undertake the longer-term project of distilling whisky. But to the North Wales’s craft distiller, it’s all about passion and alchemy.